. يعرف TFE Hotels بالمستوى الراقي لخدماته ولباقة موظفيه، وهذا ما ستجده في ترافلودج هوبارت. هذه بعض الخدمات الموجودة في هذا الفندق: واي فاي مجاني في جميع الغرف, خدمة التنظيف يوميًا, مكتب الاستقبال على مدار الساعة, مرافق مخصصة لذوي الاحتياجات الخاصة, تسجيل وصول/خروج سريع. يمكن للنزلاء الاختيار من ضمن مجموعة من الغرف المصممة بعناية لتعكس جواً من الراحة، والتي يتجاوز عددها 131. يقدم الفندق مجموعة واسعة من وسائل الراحة المتنوعة، كمثل: مسار جولف - ضمن 3 كم. إن ترافلودج هوبارت هو خيارك لخدمة الفنادق الراقية في هوبارت. Staff incredibly friendly and helpful. Great location to walk around and see sights. Room clean but basic. 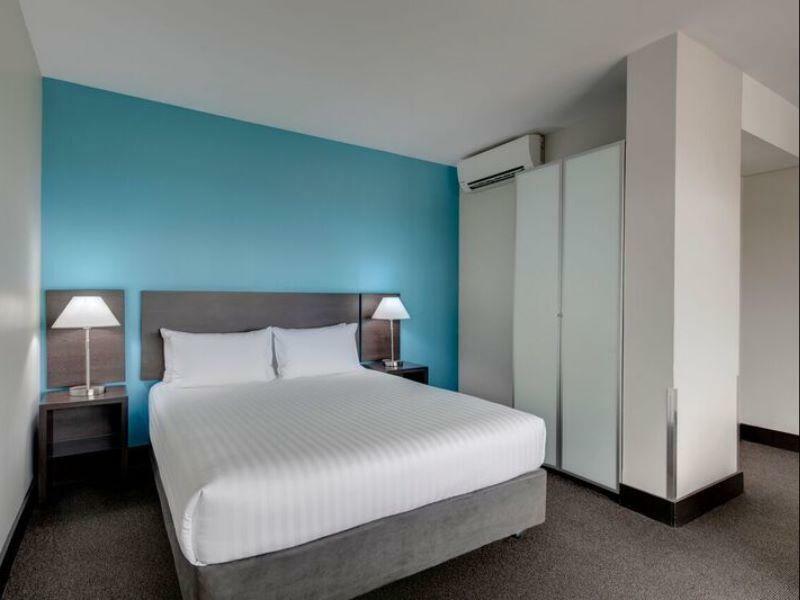 The hotel is located in the city centre with only 10 mins walk to CBD. Room facilities are a bit aged and not enough electronic plug for me to charge my phone & power bank. When I asked the staffs about the location of Sky Bus, he has given me the wrong direction. The room was well equipped and looked like it had recently been renovated. House keeping kept the room very clean each day. However, the bathroom was tiny and the shower didn't even have a screen (no room to put one in) or a curtain. So ever time we showered, water went everywhere. There was also no cupboard or shelf, which meant I had to keep all toiletries etc outside the bathroom and use the other mirror to get ready, which is hardly convenient (especially at this price). Parking was $12 per night but this wasn't stipulated when I booked the hotel - it seemed as though parking was free. The location is good - less than a 10 min walk to Salamanca & Battery Point. I was disappointed with one particular staff member who was extremely rude to people she was checking in when they enquired about parking. She stated that there was no free parking in Tasmania and that it wasn't her problem, or her job to find them free parking. In fact, this is the only hotel we had to pay parking. Triple room we stayed in was very small with not much room to walk about, with most of the space for walking taken up by our 3 luggage. 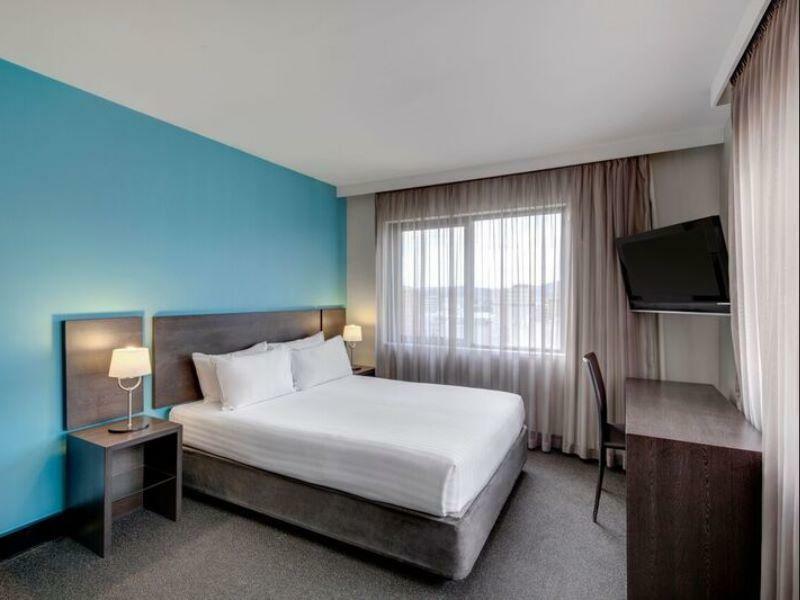 In comparison to a triple room at Travelodge Melbourne which we stayed at, that room was almost 1.5x larger with sufficient space for placement of 3x luggage without sacrificing on space to walk about. Furnishings was also very dated compared to that of Travelodge Melbourne. Would not recommend. Stayed for 3nights .Fast, friendly check in. Spacious/clean room with ensuite and tea/coffee making provided. Also Microwave, cutlery and plates provided. Walk to town, cafes,shops etc. 100mb of free wifi provided per day. The room was clean and tidy and was just about 20 minutes walk from the harbour. A 5 minutes walk to the Salamanca Market was needed, which is a plus. The downside is that no slippers are available, which could have been indicated at the booking website. The room, the front desk staff, the location. This is the third hotel I've stayed in when I've come down south to Hobart and I couldn't have been happier for a weekend stay. I basically come to Hobart twice a year for the Salamanca market and this hotel worked brilliantly! Within an easy walking distance to the market and the waterfront, this hotel fulfilled all expectations. Don't know about breakfast as I didn't use that option. The front desk staff were amazing, giving me probably the best recommendation for a fantastic Vietnamese restaurant 2 blocks away, as well as other options within easy walking distance. Probably, though, the thing that impressed the most was their amazing help after I discovered that two of my credit cards had disappeared. From giving me free wifi access, to phoning banks from the front desk with no charge to me, they were incredible! I've found my new home whenever I return to Hobart! 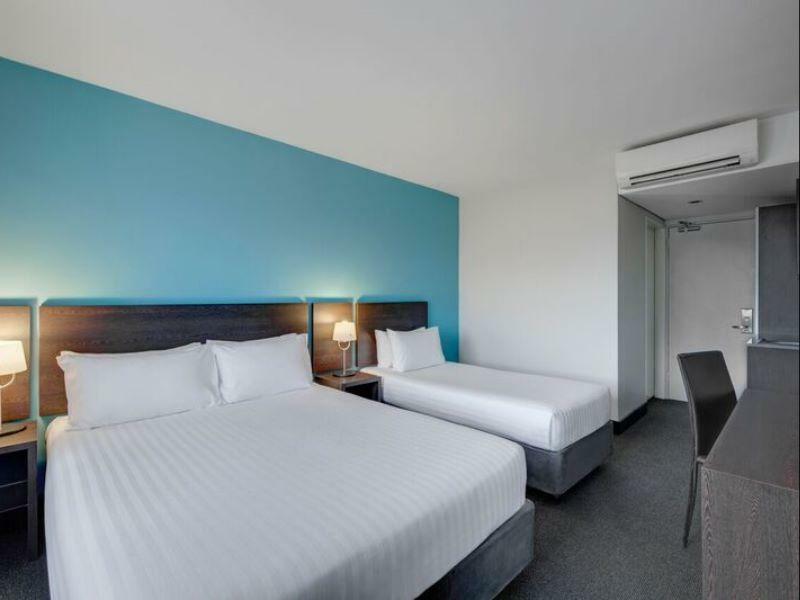 It was relaxing and comfortable except that one particular Front Office staff displayed her unwelcoming attitude towards Asian travelers that she asked me to park my car at public parking for AUD$10.00 per entry and alternatively hotel will charge AUD$12.00 per day. She claimed that the hotel usually does not have enough parking. But on my insistence that I booked because of the free parking facility only then she reluctantly gave me the guest parking pass. Throughout my stay, the parking was empty with only a few cars. Secondly, the housekeeping staff does not replace the room amenities like tissues, soap, shampoo, milk, etc on daily basis. Room was comfortable and the microwave oven was very handy. Good location. 5 minutes walk to Salamanca Market area, close to shopping area with many restaurants. Car rental companies can be found on the same street. Airport shuttle pick up at the door step. Friendly staff can arrange for airport shuttle bookings. The room was comfortable, clean and tidy. The front staff was friendly and helpful. I need to said Thank You to the reception staff - Sarah, she is helpful cos when she looking me waiting at lobby long for the airport shuttle bus and she keep calling for me and let me know that their change my pick up time. I was feel warm. It was a good stay. It is close to Salamanca and the CBD - only a 5 minute walk to each. Staff were very friendly and helpful. Come to think about it the all staff in all areas were very pleasant. It must be a nice environment to work in. Well done to Management. Free parking for hotel guests, location is walking distance to many interesting places & room is clean. We were surprised that it came with breakfast for 2. The breakfast was good. This hotel although is small but very clean. Location is very near to many interesting places. Offer free parking for hotel guests. Value for money. We like it. My overall stay was great. 15 minutes walk to Salamanca, city and Ferry terminal. Staff are friendly and helpful. Hotel room was clean and bed was comfortable. Highly recommended for those who like to travel solo (not with fix itinerary). Stay was extremely good and well worth for what you paid for. It was centrally located in and around the city and the checking-in and -out was a breeze. 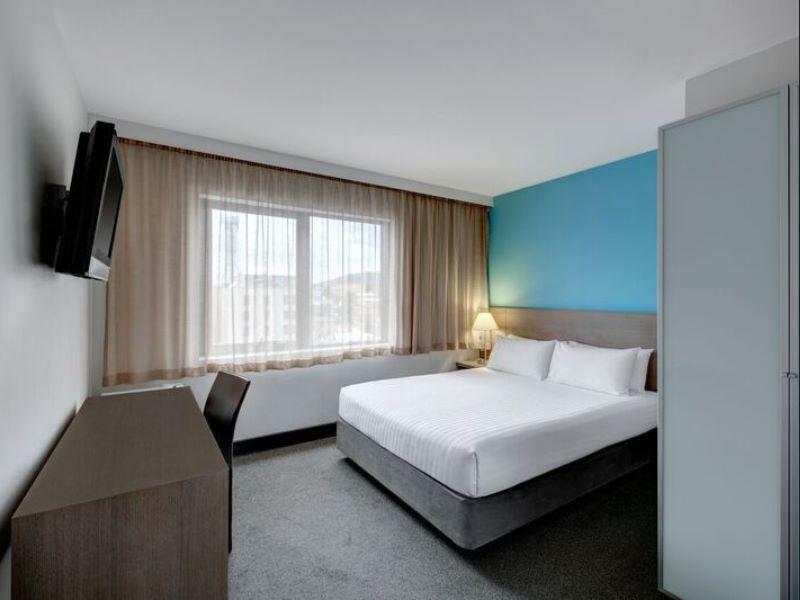 I would recommend this hotel to anyone who is wanting to spend 1-2 nights in Hobart to take in the city. Everything was smooth when we got there, staff were friendly, honest and help ful. Room was what we expected, good shower, everything clean. A nice sized fridge we could put things in was really handy. Hobart is small, so nothing is to far away but still. Location was very ideal, quiet area yet not in middle of nowhere. Staff had a list of places to eat on Xmas day which was nice. Only complaint is the lift was rather slow, but no biggy. Location was great but no air conditioner was a bit surprising. The hotel has air conditioned rooms on level 2 and they are of standard queen type only. So please ensure that you don't stay on other levels during summer. Clean rooms and a great location. Location was great but no air conditioner was the downside. Staff was very understanding and assisted when required. Overall it's a good hotel but ensure that you book rooms on level 2 (air conditioned) during summer. Very good location, close to the park, salamaca place. The room was clean, a good size. My travel companion was very pleased with the hotel and the room. The supplies in the room was generous. Overall, it was well above average. I've stayed at two other hotels in Hobart and this was the best one. It is only five minutes walk from Salamanca Place. Great location. Good for business and for a quick holiday stay. I recommend it.